It’s amazing how many free Digital Audio Workstations (DAW for short) are available these days for recording, creating, editing and mixing music from a simple home computer setup. When I first started getting into recording music from home, I thought it was pretty much required to spend a few hundred dollars (at least) on music recording software, but it turns out that’s not the case at all. In fact if you’re a beginner just starting out, you’re much better off not buying a DAW right away. It’s better to test a few different DAWs at first, some free versions and demos, to find out what fits your style and workflow the best. There’s nothing worse than spending several hundred dollars on software that you later find out that you don’t like, so it’s important to take some time when it comes to choosing a DAW. If you’re looking for a new DAW or are just starting out, here’s a list of the best free Digital Audio Workstations that are currently available to download and try out. Pro Tools has been one of the top Digital Audio Workstations for a long time. It is used in many professional studios and is considered the industry standard in some circles. But Pro Tools also receives a lot of criticism for the way Avid chooses to handles things. 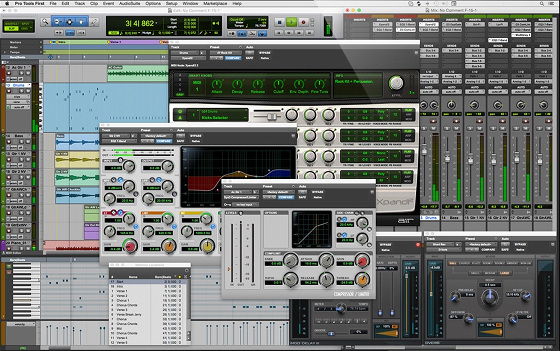 Avid released a completely free version of Pro Tools earlier this year called Pro Tools First. It has a lot of good things going for it, with a couple of significant drawbacks. The free version is a great way to try out Pro Tools without having to commit to spending a fortune on a full license or a subscription plan. Here’s a comparison chart that lists the differences between the free and paid versions of Pro Tools. Supports recording 16 mono/stereo audio and instrument and MIDI tracks. Comes with Xpand!2, a virtual instrument plugin with 1000’s of built-in sounds for drums, strings, pianos, loops, synths, etc; plus over 20 Pro Tools plugins are included. Plugins can only be purchased through Avid’s marketplace; you can’t install plugins from outside sources. Supports just three projects at one time. Projects are stored in the cloud (with offline caching). 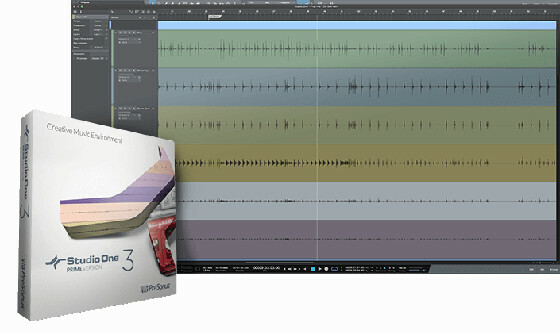 The other big-name free DAW up for the taking that works with Mac and PC computers is Studio One Prime. Unlike most other free DAWs it offers unlimited audio tracks, MIDI tracks, buses, and FX channels. The main limitation is you can’t load 3rd party plugins with the free version because there is no VST support—and that’s a pretty big issue. The $99 PreSonus AudioBox USB audio interface comes with a free download of Studio One 3 Artist, which sells for $75 separately. It’s a step-up from the free version and adds a number of additional features, but VST and ReWire support costs an extra $79 as an add-on. Here’s a comparison chart at PreSonus listing all the different features between each version of Studio One. Impressive interface and workflow, with advanced multi-track editing and comping, automation, and full MIDI support. Supports unlimited audio tracks, MIDI tracks, buses, and FX channels. 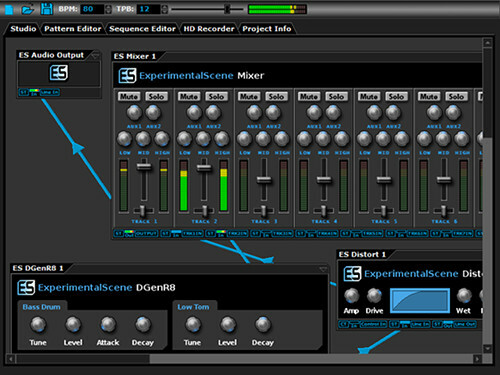 It comes with 9 high-quality effects, including Ampire, Beat Delay, Chorus, MixVerb, EQ, Presence XT sampler, etc. Just one virtual instrument included. One of the better options for a free DAW is Podium Free, the freeware edition of Podium. It’s a fully-functional DAW for Windows that supports recording and editing audio and MIDI, and it can load VST plugins as well. Identical to the commercial version of Podium, with a few limitations. 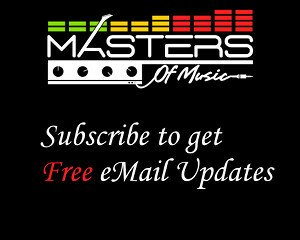 Can download and use freely, registration optional. Plugin multi-processing is disabled on free version. ReWire and 64-bit mixer engine disabled on free version. If you truly want to go the free DAW route, Tracktion 5 is one of the best options. It’s not encumbered by the usual limitations like other brands. It’s a fully-operational DAW, complete with VST and ReWire support and unlimited tracks. T5 also supports automation and it has audio comping, latency management, track freeze, MIDI learn, and more. Supports unlimited VST/AU plugins and ReWire. Unlimited number of audio and MIDI tracks supported. Less overall features than the big name stuff like Pro Tools First. 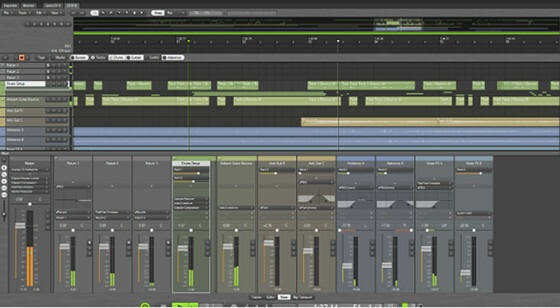 DarkWave Studio is another freeware DAW that is available for Windows. It’s designed with an emphasis on creating electronic music. It supports VST and VSTi instrument and plugin effects. DarkWave Studio features a modular approach and it comes with a bunch of bundled plugins. Multi core & multi CPU support. Not well known, not much info. 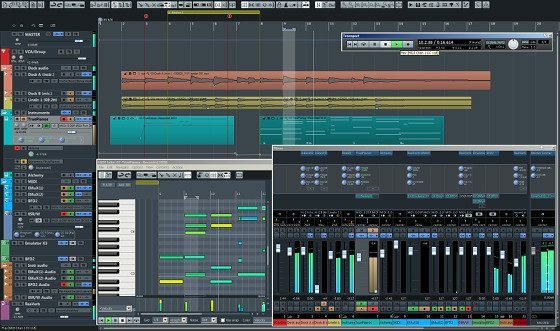 Reaper is a popular DAW that’s loaded with tons of features and a very user-friendly license policy. There’s an older free version of Reaper available, v0.999. It hasn’t been updated in 10 years and won’t be updated again, but it still has a number of useful tools for recording and editing music. However, it doesn’t really make any sense to even bother with the free version of Reaper because the full version only costs $60. Don’t let the price fool you. It’s a full DAW with the same level of features as the expensive stuff. Plus it has a 60-day trial period to demo the full software. Audacity – It’s not a DAW precisely but Audacity is highly-capable open source audio software for multi-track recording and editing—it even supports VST plugins. It works with Windows, Mac, and Linux and it’s free. LMMS – While it does not offer any type of external audio recording, LMMS is free open-source software for Windows, Mac, and Linux. It comes with some included effects and instrument plugins. It supports MIDI and 3rd-party VST plugins. Ableton Live Lite 9 – A fully-functional DAW that’s main limitation is it only supports 8 tracks/scenes. It’s not free exactly but it does come free with a number of MIDI and audio interfaces. One of the best and most capable free software add-ons if you can get a hold of it. MuLab Free – A free version of MuLab that supports four tracks and eight VST plugins per project. Works with Windows and Mac OSX. 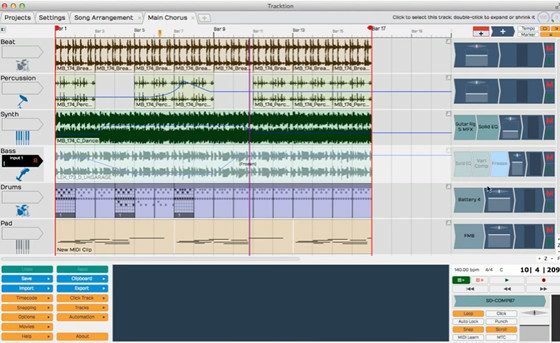 Ardour – A fully functional DAW for OSX and Linux. It’s not free but it can be purchased for as little as $1. Wavosaur – Wavosaur is a free audio editor and audio recorder program that supports wav and mp3 files. Wavosaur can install VST plugins for real time effects processing. The program is freeware for Windows computers.